As we are reaching the end of the year I thought it would be a good time to announce the winners of the Savvy awards... now in my head these as prestigious clear cut prisms of crystal, etched with the winning product names. But sadly these are nothing more than my absolute favourites of 2010, however I still hope you enjoy the read! I think most of us want lengthened, defined, clump-free lashes and this is what you get with No7 Exceptional Definition Mascara. You can really get into the roots and them tiny little lashes with the end bristles and comb through with the other side of the wand to remove any clumps (which means you can apply multiple coats!). If you still don't believe me, make sure you read the 60 five star comments on the Boots website! For the price this is definitely one of the most affordable yet great mascaras out there. Again this doesn't clump or look thick and heavy, but creates quite a feline curled look to the lashes. A must if you are sick of paying £10 + for mascara. I've purchased around 8 different concealers this year yet I always come back to this and use it daily. This really does give perfect coverage while being light and also oil absorbing. Covers under eye circles, spots and redness. I also find this lasts all day! My first ever review on Makeup Savvy was on these very brushes - I loved them back then and still do! These are made out of 100% Taklon bristles with bamboo handles and are the softest of brushes that just don't shed. My favourite has to be the angled liner brush which I use for my eyebrows and lining my upper lashline or smudging out eyeliner. Great value for money and amazing quality! These by far have to be the best affordable eyeshadows that are always available on the highstreet. The metallics in the range are fab, such a huge choice....perfect for foiling or using wet and really blendable! Just fantastic value for money and so pigmented. I think these would of definitely 'won' Best Eyeshadow if there weren't sold out so much in Superdrug and online. That aside, all 8 (or is it 7?) palettes are amazing - with a mix of matte and shimmery shades they could be all the eyeshadows you need. These blend perfectly and are incredibly pigmented. I must admit I haven't had this all that long however this became my favourite bronzer instantly! One of the only non - shimmery 'disco ball' bronzer out on the highstreet...this really does just lightly bronzer the skin without leaving any glitter or shimmer - which to me makes a true bronzer. Also the packaging with the magnetic close is lovely and the hint of chocolate scent to the powder is a nice touch. All in all a real winner of a product! I think maybe foundation is the hardest thing to review as everyone seems to like something different. But if you want something that is light, glowy and flattering then you need Second Skin in your life! This is one of the only low cost foundation I've tried that doesn't look cakey or orange. The only down side is the limited colour range with only 5 shades, but the lightest shade 'Creamy Ivory' is personally a really good match to my own skin. This was definitely a needed 'drugstore' product for 2010 which really stood out to me. These come in really lovely shades and the cream to powder formulation is just perfect. Favourites in the range have to be Neon Rose for a flush of colour and Butterscotch as a nice highlight. The whole of the Topshop range is worth a look though! Not too sticky or gloopy, perfectly scented and just lovely shades. These are definitely the best lipglosses of 2010 (with Revlon coming 2nd) just so glossy and just great. Strawberry Milkshake and Toffee are musts. So many shades to pick from and always so on trend and not to mention there great quality, you really cannot go wrong with this range. Favourite shades so far have to be Mushroom, Dusky Mauve, Raspberry, Grey, Pink Flamingo....ok just all of them! Again this would of 'won' if it was easily available or atleast sold online, but these are only sold in Asda stores! But for a supermarket brand these are amazing - the quality and range of shades is just fantastic (they even do matt finish polishes now)! Totally fantastic and worth £1.49 of any one's money. Watch out for part two of the SW's (that's the Savvy Awards, of course) with the best of the rest in skincare and favourite brands! Great post, I agree with what you've said about George nail polishes being hard to get hold of, I'm still get to find them in an Asda store. Grr. Overall an excellent and very helpful post! I agree with fudgesmoothiesmakeup. I like this list because everything is really affordable, and let's face it, we don't all have a lot of money after the holidays! Totally going to try the Boots mascaras, thanks for the tip! 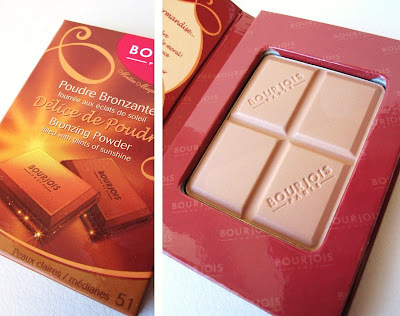 I have been looking for a nice matte bronzer for a while now and the Bourjois looks gorgeous, thank you! Agree with you on most of these! I've never tried 17 wild curls mascara but for near 6 quid cheaper than the boots I think i'll try it out! Thanks!! You have some of my high street favourites in there, especially the Ecotools brushes and 17 eyeshadows. I managed to go the whole year without trying any of the Topshop makeup. Might have to rectify that next year! I absolutely love Eco Tools! I actually just purchased the travel eye kit because I knew they were a good, affordable buy. MAC travel brushes don't seem to be as good of a quality as their full-size brushes but the Eco Tools ones are amazing! Great post! I love that you set it up as awards. I haven't tried any of these products which is exciting because it means I need to get some more makeup. I love the look of that top shop blush. I really like your post.It very helpful for those who want to look attractive and Makeup helps to look attractive and stylish .